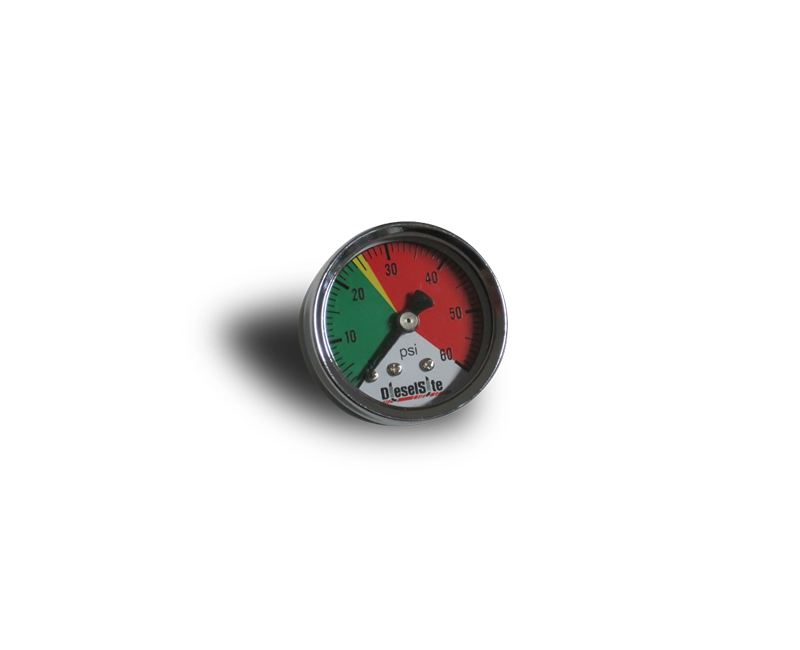 This gauge takes the guesswork out of changing your replacement spin on filter for the DIESELSITE External Transmission Filter Kit. It is clearly marked to let you know when it's time to replace the filter. A normal filter condition will be in the green or yellow area. Replace the filter when it approaches the red (Service Filter)area. Question: Why does my pressure gauge read in the yellow area with a brand new filter installed? Answer: Because this is a pressure gauge, it is monitoring line pressure. Many aftermarket chips and tuners will increase the line pressure in your transmission. The gauge is simply picking up on the increase in pressure. It does not mean that the filter will go into the red Service Area any sooner. It may stay in the yellow for thousands of miles. That's just where a transmission with higher line pressure will register.